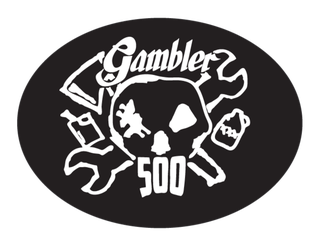 I’ve been brainstorming how to get my little Chuckus to the Gambler 500 without having to rent a U-Haul trailer. While I have already solved the problem (putting the scoot in the bed of another Gambler is the cheapest, renting a U-Haul trailer comes a close second) here were my obstacles, including the insane idea I ended up with before finally giving up. Facebook Marketplace and Craigslist are full of < $200 Harbor Freight trailers converted into motorcycle haulers. I probably wouldn’t trust one to get my bikes across the country, but acquiring a new purchase would be easier and more on demand. Also a great option and I can even get one fit for a scooter for under $100. However, my smart’s hitch receiver only likes tongue weights of no greater than 200 pounds. The scooter weighs 280 alone and a hitch hauler will definitely put it over 300. But they can only hold 220 pounds. The Chuckus would actually have some room to spare inside my smart. The tailgate would be open a bit, but it wouldn’t be the first time I’ve had to do something like that.. Unfortunately, while this would work and probably work well if I spent my time on it, I have nowhere in the car to store the “device” and thus the Chuckus would be stuck once it got in the car. Of course, a luggage rack would solve this issue, however now that’s getting into spending way more cash than transporting via U-Haul trailer.